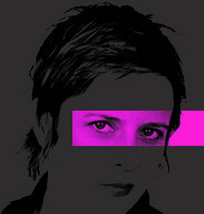 The official Rhona Cameron website. Hello. I’m sorry it’s taken so long to create my website but I have little regard for the internet nor much patience to deal with it; however people who care about me have explained why I need one so here it is. The Story so far… As you can see I’m the kind of performer writer who is hard to define. From a stand up background with bits and pieces of televsion including my own sitcom I starred in and co-wrote, I turned my hand to writing books a couple of years ago. This was an experience that changed me as I had to be more disciplined than ever before. I grew up during this process and subsequently have been moving in a direction that is better for me on many levels. It is fair to say that I’m in a transitory time and making the leap from a jobbing comic to an author or someone who writes and produces their own work is a difficult process. Currently I am touring and developing various projects for Television and Film.